If we are not happy – relaxed, excited, peaceful, powerful or contented, intrigued or curious – if we and our horse are not filled with feelings of wellbeing – then what do we have to change to get that feeling? That has become my philosophy and the basis of everything that we do and teach here. So simple and so big. Bobby, 26 years old at 2017, still the Master Teacher. 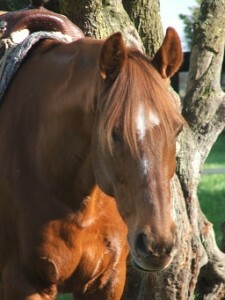 + Helping people to develop their natural talent in Feel and Connection for their horse. “Feel” is that thing that turns people from ordinary riders into extremely competent, even great horse people. 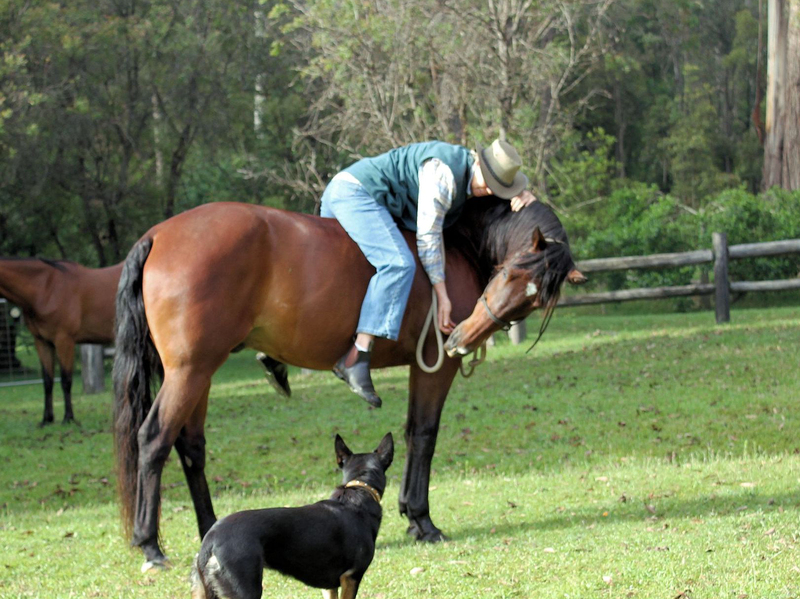 Many of the great trainers and teachers – From Tom Dorrance to Nuno Oliveira – have written about the extraordinary importance of Feel and Timing if you want to be really good with horses and they have written of their despair about how impossible or difficult it is to teach it. Jenny’s background as a “healer” lead to her discovery of a very simple way to teach Feel which means you no longer have to be born with this much sought after talent. + We developed and use innovative techniques to improve people’s riding seats into auto pilot incredibly quickly – including at the elite riding level – there’s no need for that practice, practice and more practice to achieve a really good riding seat, you can focus on creating beautiful things with your horse instead. There is no need for that bouncing around, hit or miss way that beginners are normally taught to ride either, that creates so much tension in us and our horses. + We have developed a whole new way of releasing the tension and residual fright from accidents and falls from horses that gives people enormous freedom from those old anxieties and allows for extraordinary healing. Many people, even advanced riders have talked about regaining their childhood confidence because of these techniques. 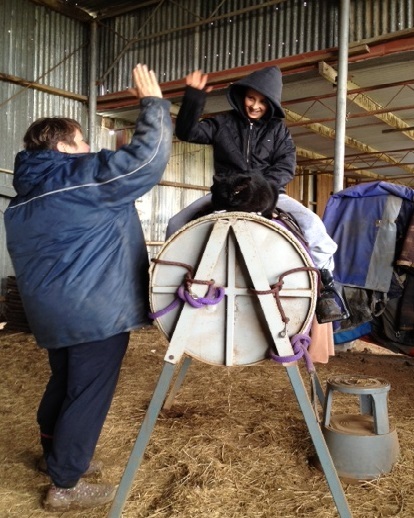 Young Nicholas finds his perfect riding seat on the vaulting simulator that we call Magic, with the help of my cat Storm Boy. His seat was so stable and strong that we couldn’t even push him off it. It’s MAGNETIC when you’re in the right position. + The healing opportunity that can be found in the deep and meaningful relationship work with your horse. It still knocks my socks off what people can achieve. You can find lots of stories and videos and testimonials at this link. + Through my healing work, we have discovered how people are able to release many of their horses’ mental, emotional and physical problems – while they work with their horse – even while they ride. This is in stark contrast to many horse people I admire who consider that you cannot change the effect that the past has had on a horse, that you can only layer good experiences on top of old traumas. I am very glad to tell you that is not true! This is particularly beautiful work, that in its simplest form can be done by beginners. You can start to learn this in our free introductory program. 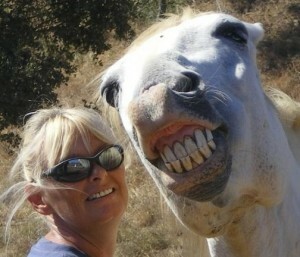 Click here for the Nine Keys to Happiness with Your Horse. + I am also passionate about the healing possibilities that are created when a horse is in self carriage and that same deep healing can happen when people are in in good posture too. Rather than constantly checking and fixing and practicing your good riding seat, I specialize in finding the things that are stopping our posture from being effortlessly powerful, so that good posture, so that a brilliant riding seat, becomes automatically… effortlessly… stable and powerful. Posture sounds like such a dry subject but it can be truly transformative and can instantly relieve pain in both horses and people – you can see what I mean if you click here for this video. Jenny and three other extraordinary women. Ordinary people being extraordinary – if we had a motto here, that would be it – and importantly, it applies equally to our students. Our support team here is a beautiful example of the different kinds of strengths people have and how we blend them naturally and how we can apply those gifts to our lives and with our horses uniquely. … and get great results, more gently, sensitively and effectively. We all work very successfully with people and horses in person and by distance and have a lovely selection of programs to which we add to from time to time. 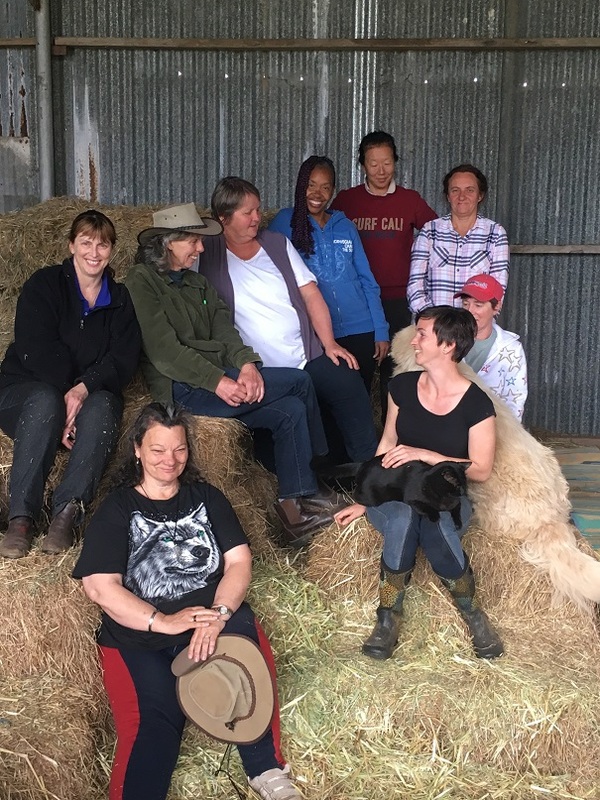 All our programs are designed to lead people and horses, step by step, to a new level of connection, well being and happiness. A big part of this is to empower people and horses in knowing what is needed for them to feel confident, peaceful and joyful – and the wonderful opportunities for transformational change and healing that open up from this. People are always surprised at my depth of Feel for them when I’m teaching, whether in person or from thousands of miles away, so that I know how best to support their discovery of their own natural talents. It’s not complicated though – it’s the same “unique to each person” Feel that I teach people to get with their horses – the same Feel that turns ordinary people into world class horse people. And oh my goodness, when they start to work from their own natural talent, even beginners can get results that knock people’s socks off. You’ll see examples and testimonials all around this website. I came to this via my background as a very widely trained alternative therapist (too many modalities to list here), but I was taught these two way communication skills by the horses themselves. In my experience, horse training and healing are intricately entwined and I believe that all good training does, in its essence, work on a level that heals both the horse and the person. I live in Australia and work in person and by distance. Caroline combines her qualifications and extensive training and skills as an Equine Behaviourist with a strong and natural heart feel – a natural ability to see what is REALLY going on behind a problem or behaviour, without blame or judgement and without making the horse or person wrong. Caroline lives in Portugal and works in person and by distance. 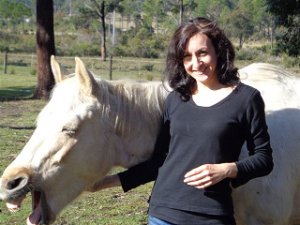 Narel has a natural strength in energetic feel, which she has extended with her experience in horse communication, shamanic healing and astrology. 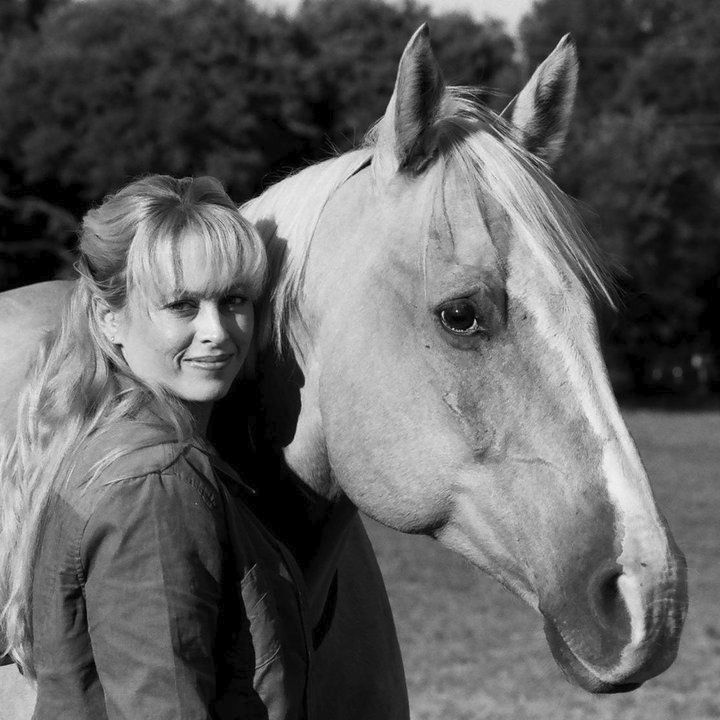 She combines these energetic gifts, talents, experiences and training with a deep commitment to our approach to horsemanship and to empowering people and horses. Narel lives in Australia and works in person and by distance. Sue is a mega talented horsewoman (she has a problem with me saying that! 🙂 ) with a deep sensitivity and ability to feel for your horse, even across long distances. She’s a practical lady “from the bush” with that lovely kind of old fashioned courtesy and feel. She worked cattle until a recent retirement to a small farm and even ended up doing the cattle work bridle-less, with her horse AUS shown here in the photo. I think he was about 28 years old then. She’s ridden and camped out for weeks at a time with a group dedicated to keep the high country mountain trails open and is experienced in a wide range of horse skills, from packing a horse including a chainsaw to take her turn to clear the tracks, working cattle and camping out with horses for long periods at a time. Bigger than that though, she has an ability to feel into a horse with problems and nail what it it’s going to take to solve them and is very active supporting people on our student only forum. She considers that she’s not very good with people, but I think that’s just because her focus is so firmly fixed on the horse and whatever is going on with them.. I wish you could see me smiling. She is SERIOUSLY good with horses with a very down to earth practical approach. You can email Sue to talk about how she can help or with any questions you may have. Ways that you can take advantage of this wide variety of skills and programs. Our Fast Track to Brilliant Riding is an excellent way to develop your unique sense of Feel, fix confidence issues for both horses and people, get a brilliant riding seat, learn how to find healing for yourself and your horse – it’s our full 80+ interactive audio and video online lesson program. For someone looking for a smaller program to start with, then the 20 lesson Foundation for Riding Excellence may be a good place to start. We also have the beautiful 21 Days to a Quiet Mind – Horse Meditations that are getting rave reviews from all over the world. You can see all our programs here. 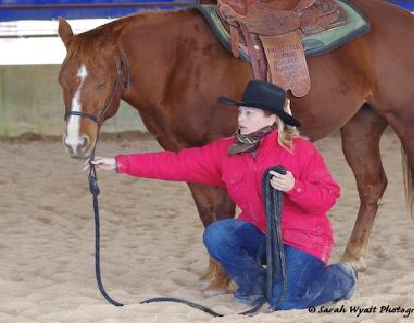 Our programs apply to any discipline, goals you may have with your horse, ability, age, size and so on – and they will help you to get the most out of all those amazing trainers and teachers out there by coming from the strength of your own feel and connection. You can also have a private session with any of our team, whether you are enrolled in one of our programs or not – click here for email details and prices. Each member of our team is available as support for you to mix and match to help you get confidence in, and create your own foundation of feel and connection for your horse. You can take your learning as fast or as slow as you like. 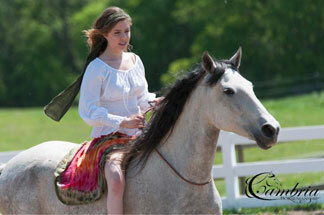 We all focus on you and your horse’s mental, emotional and physical feelings of wellbeing as a priority. If you are unsure who will suit you best and your situation, you can come through me or you can approach individual team members directly. 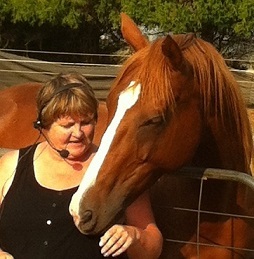 Private sessions can take many forms – Phone or Skype consultations work well when you’re working on your riding seat or to get a deeper awareness of how you experience feel and connection to your horse or to develop the early warning signal that I call Not Quite Right or if you would like some additional help to solve a problem with your horse. Technology is so easy these days, that with some very inexpensive and common technology we can be with you in the arena, the paddock or the barn. Kristine Nesbitt – double world champion reining rider talks about her distance private session in one of the testimonials. Video consultations are also an excellent choice. You can video an issue with your horse that you want help with and then have a live lesson via Skype and watch the video at the same time while we talk about what was happening. If you don’t have someone to video you, we have some suggestions about how you can still do that anyway, and quite easily. Working with video is almost better than working in person because you get the opportunity to pause the video, examine what’s happening in detail, figure out what needs to release, re-learn or re-program. You get to really clean up what’s BEHIND what is going on – with someone trained to empower you in the process so that you come out with more skills. It’s very exciting! We can step you through that technology if needed – it’s MUCH easier than it sounds. You will find that every “problem” we help you solve, will improve your own skills because of the empowering way that we help you to recognize and use your own natural talent. When you are secure in your own ability, then you can take this knowledge back to your own special teacher or even the best trainers and teachers in the world and get the real benefit of working with them – from your own strength.